Last night, I was battling insomnia by cycling through covers of “This Will Be Our Year,” including an OK Go version that I absolutely loved in college (it was the lead song on MoveOn.org’s Future Soundtrack for America). And then of course there’s the Foo Fighters’ version. By the grace of the chance encounters in life, I was introduced just today to The Mynabirds’ cover of The Zombies song. Laura Burhenn (of Bright Eyes and Postal Service) sings with a sweetness that is subdued, not saccharine. The pedal steel, played by J. Tom Hnatow (of These United States and Vandaveer), add these subtle shifts of hue — I can’t quite explain why, but for me, it conjures up J.M.W. 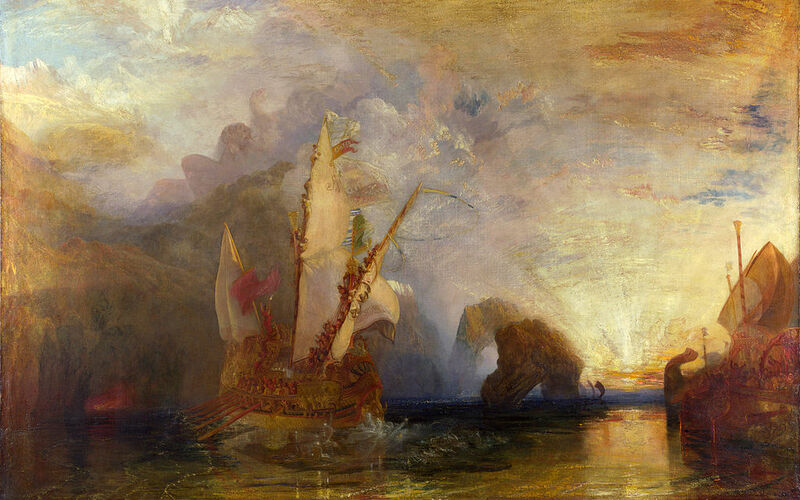 Turner’s painting of Ulysses’s ship on the open seas. The oars slice through dark waters, bearing the men away from the cyclops’ caves. On the horizon, Apollo’s horses rise, sunshine on their backs. Those gradients of color, those brushstrokes that communicate that dawn is breaking — that’s what this song sounds like. It wasn’t easy, getting to this point. But maybe, just maybe, this will be our year, took a long a time to come. 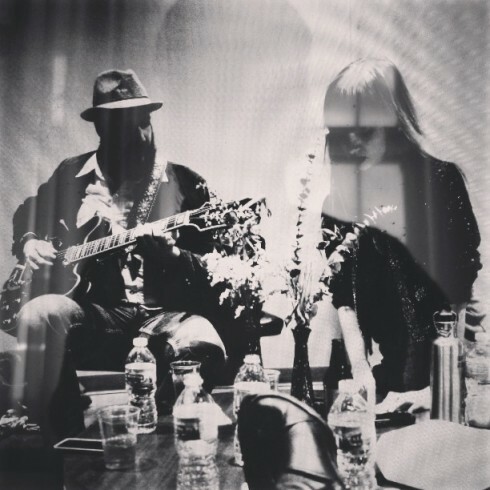 The Mynabirds’ new record will be released this spring, and I’m looking forward to catching them on tour. Speaking of beginnings, I started this blog a little over a year ago. At the time, I felt like my sanity was slipping. Instead of running and climbing, I was spending an awful lot of time in hospitals. Then I couldn’t work because a contingent of ideologues had seized the public debate and reduced it to gobbledegook and then shut the whole system down. In the midst of all that, I turned to music. I guess I was seeking some assurance that we’re still capable of creating communities through stories and song, that despite the partisan rancor ripping the country apart, we can remember shared roots and common dreams. So I listened and wrote, and listened and wrote some more. It’s been an important outlet for me and I’ve met some incredible people through it. So thank you for reading — and to the musicians (and their managers), thank you for the interviews, the photo passes, and above all, fundamentally, thank you for sharing your music with us. Here’s to a new year. Here’s to the triumph of polyphonic discourse over dull monotone certainties. And here’s to music and new connections. Happy 2015, friends. Top: Mynabirds. Bottom: J.M.W. Turner, Ulysses deriding Polyphemus (National Gallery, London).